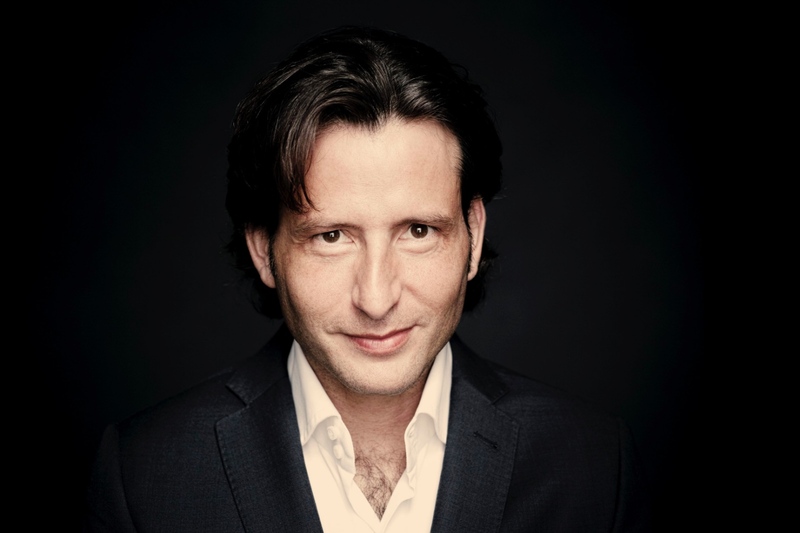 Gustavo Gimeno, whose tenure as Music Director of the Toronto Symphony Orchestra begins in the fall of 2020. Photo by Marco Borggreve. The Toronto Symphony Orchestra’s 2019-20 season will be, one hopes, the last in a while without the appointment of a permanent Music Director. Interim Artistic Director Sir Andrew Davis has returned to the TSO following Conductor Emeritus Peter Oundjian’s exit at the end of the 2017-18 season; incoming Music Director Gustavo Gimeno, set to officially begin his tenure in the fall of 2020, will be in town to conduct a handful of concerts this season, whetting the audience’s appetite. The TSO’s past, present, and future will all take the podium in 2019-20. In the fall Gimeno will conduct a Russian-French programme (October 9-12, 2019), and he’ll return in April for a concert of Brahms featuring star pianist Yuja Wang (April 8-11, 2020). Oundjian will return for a hefty concert of Mahler’s Symphony No. 5 and Bruch’s Violin Concerto, featuring TSO Concertmaster Jonathan Crow (April 29-May 2, 2020). And Sir Andrew Davis will be a season-long presence as a conductor, a composer, and even as an organist for Saint-Saëns’ “Organ Symphony” (June 17-21, 2020). Gustavo Gimeno, incoming Music Director of the Toronto Symphony Orchestra (fall, 2020). Photo by Marco Borggreve, courtesy of the Toronto Symphony Orchestra. Though these seasons of transition are perhaps light on the contemporary repertoire and outside-the-box projects which are easier to pull off with permanent management, the TSO is falling wisely back onto the massive canon of traditional symphonic masterworks. Like the current season, the TSO’s line-up for next year gives aficionados the chance to hear live a good chunk of their symphonic repertoire bucket list: Massenet’s Thaïs, starring Erin Wall in the title role, Vivaldi’s Four Seasons, featuring Jonathan Crow (November 16-20, 2019), Dvořák’s Cello Concerto, featuring Joseph Johnson (January 30-February 1, 2020), Wagner’s Wesendonck Lieder with Donald Runnicles on piano and the TSO Chamber Soloists, Mussorgsky’s Pictures at an Exhibition (March 20-22, 2020), and Strauss’ Also sprach Zarathustra (June 17-21, 2020). Amid a season that’s packed with the traditional, there are a few items of novelty. Those paying attention already know that 2020 marks 250 years since Beethoven’s birth, and the TSO is celebrating: On the year’s line-up are Beethoven’s Symphonies Nos. 5, 6, 7, and 8, his Piano Concerti Nos. 3, 4, and 5 (the latter performed by TSO favourite Jan Lisiecki), and his Violin Concerto, played by James Ehnes. 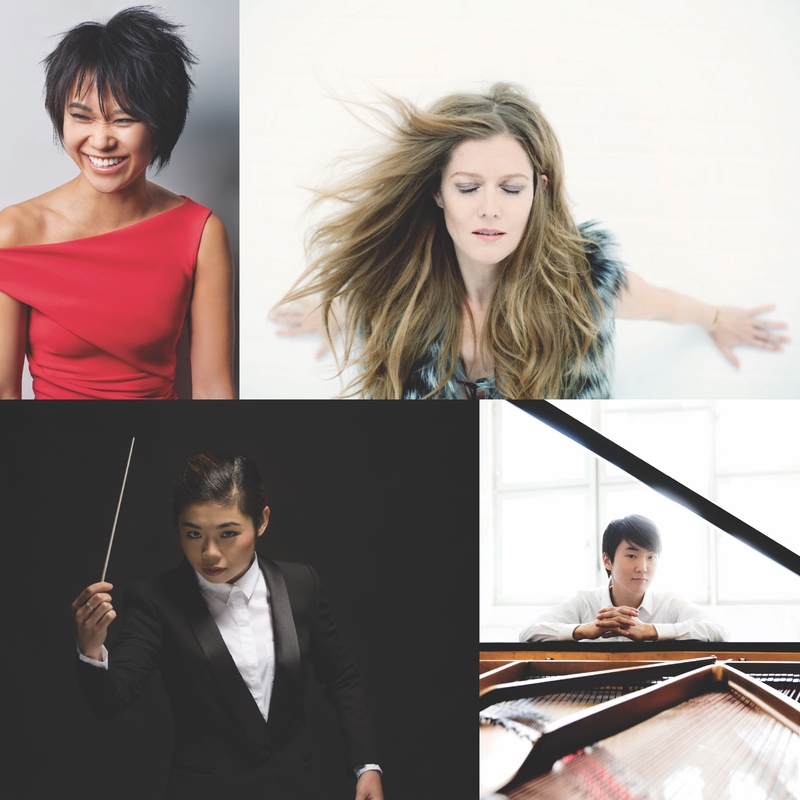 Clockwise from top left: pianist Yuja Wang (photo: Kirk Edwards), soprano Barbara Hannigan (photo: Elmer de Haas), pianist Seong-Jin Cho (photo: Harald Hoffmann), and conductor Elim Chan (photo: Willeke Machiels). Photos courtesy of the Toronto Symphony Orchestra. Amid a season that’s packed with the traditional, there are a few items of novelty. The TSO is beginning a collaboration with Equilibrium Young Artists, an international mentoring program founded by Canadian soprano and conductor Barbara Hannigan; four singers from Equilibrium will make up the quartet for Mozart’s Requiem, January 15-18, 2020. And Hannigan herself will help kick off 2019-20 with the season opening concerts on September 19 and 21, alongside a fellow double-threat, conductor and violinist John Storgårds; she’ll sing Ophelia’s Mad Scene from Brett Dean’s Hamlet while Storgårds conducts, and she’ll take the podium to conduct Storgårds as he performs Dutilleux’s Sur le même accord. The classics-heavy line-up already seems like a launching pad for the new aesthetic to come. There are Young People’s Concerts: Symphony Spooktacular (October 27, 2019), Beethoven Lives Upstairs (February 2, 2020). The Composer Is Dead (March 1, 2020), and Symphonic Fairy Tales (April 26, 2020); there are Holiday Pops with Toronto fave Measha Brueggergosman. And there’s the inevitable Handel’s Messiah, looking particularly Canadian with soloists Jane Archibald, Emily D’Angelo, Isaiah Bell, and Russell Braun. And films! The TSO continues its Star Wars series, with Return of the Jedi (October 2-5, 2019) and The Force Awakens (May 6-9, 2020); plus, Home Alone for the holidays, December 6-7, 2019. Perhaps the TSO is indeed playing a bit of a waiting game, spending the “interregnum” - to use Davis’ term - doling out heavy-hitters and masterworks of centuries past. Still, there are worse ways to spend a season, and the classics-heavy line-up already seems like a launching pad for the new aesthetic to come. For full details of the current and upcoming season with the Toronto Symphony Orchestra, visit their website.